These last few weeks have been lucky, at least as far as feminist idols go. At the end of January, I went to an Ani DiFranco show and remembered what it was like to be young and awake for the first time. Then, last week, the author Roxane Gay came to UNCW to do a reading and give a talk as part of the university's leadership series. I'd been looking forward to her visit for months and it was just as wonderful as I'd hoped. 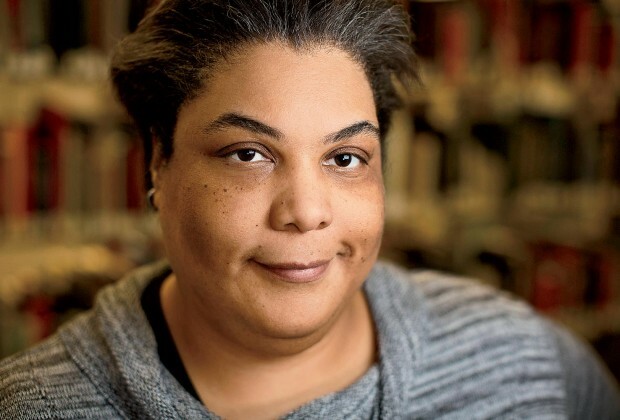 Roxane Gay, for those unaware, has published a novel, short stories, essays, and she has a memoir coming out in May. (It's called Hunger - preorder it now!) Her novel An Untamed State was my favorite book of 2015, and her essay collection Bad Feminist is a must-read. Roxane (I feel like I can call her that, especially since we've interacted on Twitter, where she is a modern day hero for smacking down trolls day in and day out) writes most often about race, class, feminism, pop culture, literature, cooking, body image - basically, everything I'm interested in. I think she's one of the most important cultural critics thinking and writing today, while also remaining accessible and human. After all, the most well known essay from her eponymous collection is called "Bad Feminist," and it's about how you don't have to have perfect politics in order to believe in equality for all. You can be a feminist, even if you like trashy television and shave your legs, which is always nice to hear. Her talk at UNCW, on the other hand, was perfect. She read a selection of things, fiction and nonfiction, that ranged from funny to sad to angry. After, there was a Q and A and a long line of students asked questions. Things got personal, both on the students' side and on Roxane's, and listening reminded me how much I love college students - their earnestness is so endearing. One student asked about whether we should boycott the work of people who are brilliant in their field but terrible human beings, such as Roman Polanski. (Roxane: "Yes.") Another student said she'd recently begun calling herself a feminist, but now felt guilty for all the things she did and said in middle school (!) that were decidedly un-feminist. (Roxane: "Have forgiveness and tenderness toward your younger self.") Another wanted advice about graduate school and becoming a professor. (Roxane: "It's designed to kill you. You have to know why you're there.") Someone asked about how student activists can be more effective. (Roxane: "You don't need to have solutions when you demand change, but you do need to have context.") And finally, one girl wanted to know if Roxane considered feminism to be a counter-culture movement. Her answer to that one was so good I immediately tweeted it. I left the talk feeling inspired and hopeful, and then went to a bar with some friends, where we discussed social media, Sweet Valley High, and feminism while drinking beers and eating fried things. A perfect ending to a perfect night. If you want to experience Roxane Gay's brilliance for yourself, check out her Ted Talk. It's fantastic, just like everything else she does.